Touratech Zega Pro Pannier Doubler Is Here! Why Do You Need Touratech Suspension? 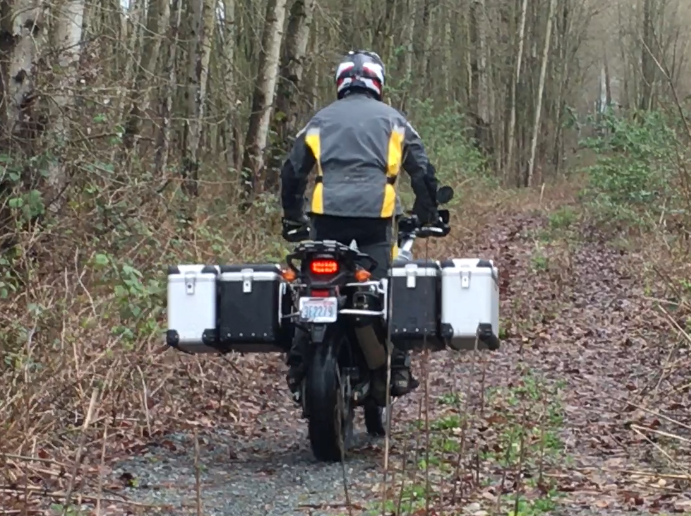 Who doesn’t need more cargo space on their adventure motorcycle when touring? Whether you’re riding through South America, North America, Europe, Asia, Australia or just riding to the grocery store you need to carry your stuff! You asked for it. You got it! 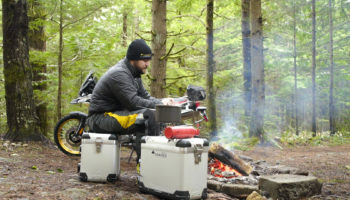 Now you can carry your gear and more with the Touratech Zega Pannier Doubler System. It simply doubles the amount of cargo you can carry! Using the classic Zega mounting pucks and some additional hardware, you can now ride with 4 panniers on your bike instead of 2. Not only do you have more cargo space with the Pannier Doubler System, but your bike becomes more visible on the road and the wide span is also awesome for clearing trails. Mix colors or stick with one. the possibilities are endless. You can actually have a pannier dedicated to dirty laundry. Everyone will appreciate that!